Our 24 hour pet hospital is located in the Gowanus neighborhood of Brooklyn and also serves the neighborhoods of Bed-Stuy, Brooklyn Heights, Carroll Gardens, Downtown Brooklyn, Fort Greene, Park Slope, Prospect Heights and Red Hook. 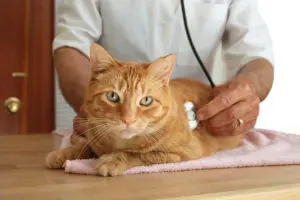 Our veterinary specialists work directly with your primary care vet to understand your pet’s condition and develop the appropriate treatment plan. Visits to our specialists are usually by referral from your primary care vet and by appointment. 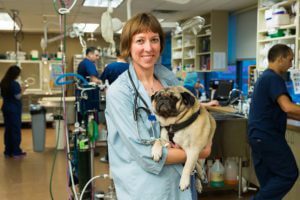 Learn more about veterinary specialists. BluePearl has New York City covered with four hospitals. We have 24 hour emergency animal hospitals in Queens, Brooklyn and two in Manhattan, and we are always on duty and ready to care for your pet. If you need a board-certified expert for a chronic condition, we’re also a specialty hospital. BluePearl in Brooklyn opened its new hospital at 190 Third Avenue in the Gowanus neighborhood in April 2019. The 20,000-square-foot facility has dedicated suites for neurosurgery, soft tissue surgery and orthopedic surgery. With its high field MRI machine, our Brooklyn location serves as one of two home bases for our neurosurgery specialty in the New York area. (The other is Midtown Manhattan.) Dogs with disc problems, in need of back surgery, are among the beneficiaries. Our surgical team also offers minimally invasive procedures. We left room for a dental suite in the new hospital and look forward to offering dental and oral surgery services in the future.